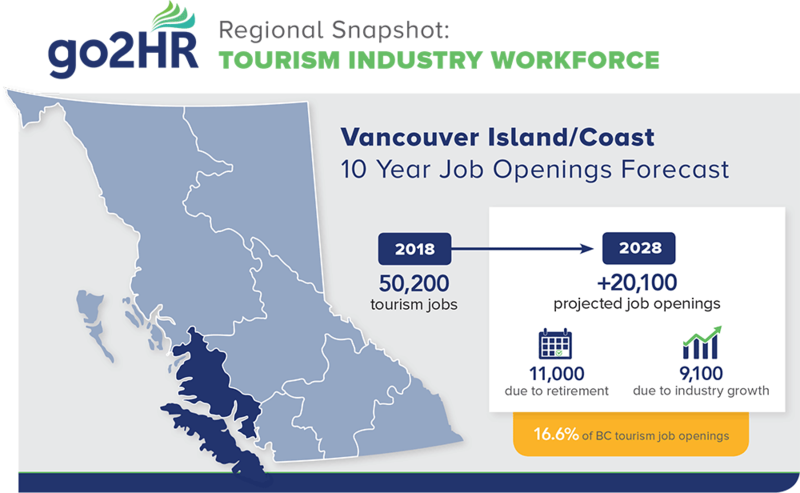 The Vancouver Island/Coast region is affected by seasonality and retention challenges, and compared to other parts of the province, they will have a higher percentage of jobs opening up due to retirements. By 2028, it is anticipated that the region will have 20,100 job openings. The food & beverage, recreation and entertainment, and transportation sectors will be the hardest hit.